After yesterday’s Wishcasting Wednesday post I was able to get the courage to register for my race. Then I felt a click! I felt rooted. I’ve been letting the wrong people have power in my life–The naysayers who question and judge what I am about. I much rather be in the company of people who smile and say DO IT! I love positive people. I spent today getting rooted. Attended a gentle and restorative yoga class. Shopped at a resale store for beauty & colorful clothing. 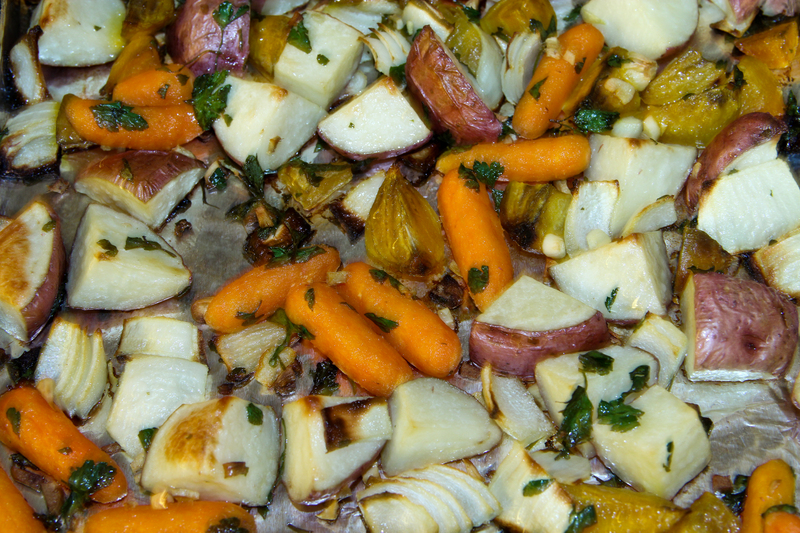 Roasted potatoes, golden beets and carrots. Spent the day in quiet stillness, homemaking. Worked on the next full-moon vision board by paging thru magazines and gathering images that inspired me. I am prepared to make the changes in my life for me to succeed in a life of health, wealth, and beauty. 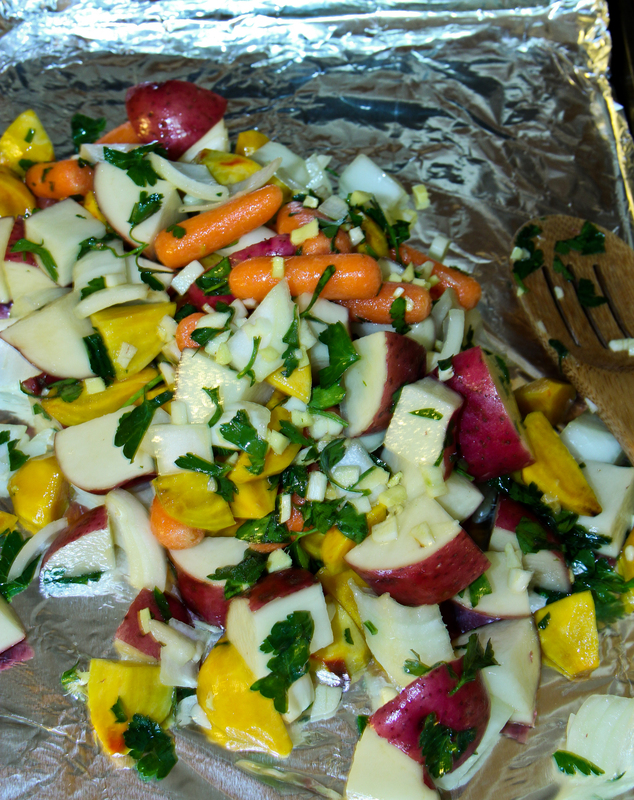 The roasted veggies started with six small golden beets which I peeled and quartered. 4 Medium sized red potatoes. A heaping handful of baby carrots. 1 onion. Minced garlic and ginger. And fresh snipped flat-leaf parsley. I tossed it all in extra virgin olive oil and roasted slow in a 350 degree oven. I should have broiled them a bit at the end to brown them up some, but they were delicious and needed no salt. The ginger was zippy and the minced garlic crunchy goodness. Posted on January 26, 2012, in Abundance, Celiac Disease, Yoga and tagged Abundance, Celiac, cooking, getting rooted, gluten-free living, Healing, Living with Celiac, Positive Thinking, running, wishcastign wednesdays. Bookmark the permalink. 1 Comment. That food looks so amazing. It’s making me really miss camping.